Drowning in Debt. Crushed by Credit Card Debt. Swimming in Stress. 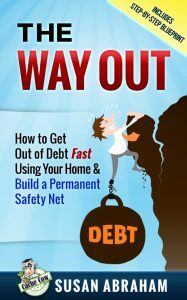 ‘The Way Out’ is a personal journey and proven path to the way out of debt using your home. – Learn how to earn money fast to cover your mortgage or car payment in the very 1st month. – Get the inside scoop on tackling high-interest credit card rates. – Pay down credit cards quickly – strategy #1. – Create a retirement golden goose – strategy #10. Ten strategies to get out debt and become financially free! 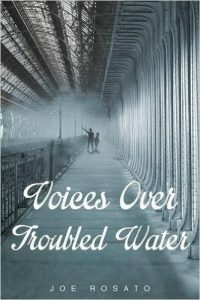 On a rainy night in March 1958 Joe as a young boy of ten years old along with his younger brother are abandoned by their mother over Troubled Water. Joe desperately cries out loud with no one around to overhear him praying for help. That tragic night brings about hearing poignant voices that start to play an integral part in his life. This event haunts Joe while growing up from a boy into manhood causing him to always search for answers to why. Relatives, teachers and mentors in Joe’s life begin to replace the lost love and guidance needed by a young boy to become someone worthwhile. These special individuals in Joe’s circle of life are quickly recognized and admired and give him the strong footing he needs to survive. 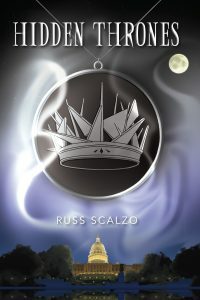 Demands are placed on his teenage life that would destroy most young adults, but Joe finds the strength to overcome the bad pathways by those same voices over Troubled Water. Along Joe’s journey in life Troubled Water shows its massive mind power at far reaching locations as he travels around the world while serving in the US Navy and the Vietnam War. He finds that there are some Troubled Waters that are finally at peace and those that are not and never will be. A long time family secret is exposed accidentally which intertwines most of his elder family members and their silence for many years. This family secret enabled Joe to discover most of his long lost answers to questions that were thought to never be solved. Each and every one of these amazing stories in this memoir are true and have been experienced by the author. There's murder at the mansion. And mayhem on the streets of Upton St. Mary. Reverend Annabelle Dixon, the charming, slightly gauche, very tall, thirty-something vicar of St. Mary’s Church, is on her way to visit a new parishioner. It's a routine duty. This time, however, instead of tea and cakes, Annabelle is served a heaping plate of murder and a fine helping of handsome Inspector Mike Nicholls!